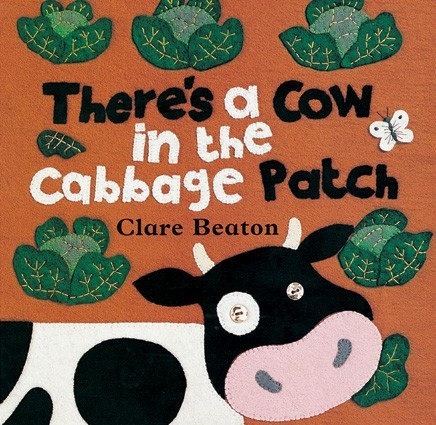 This has been one of the most read and most loved board books in our family. Sam and Maisie both loved it and now Izzy does too. I bought it from Igloo Kids in Islington about 5 years ago and its been worth it’s weight in gold, it’s just one of “those” books for us. 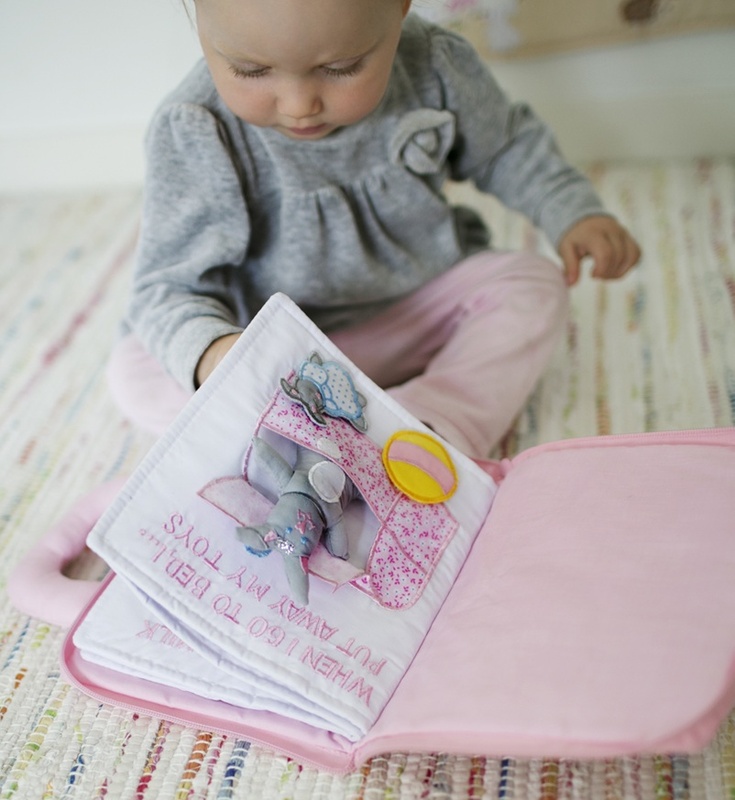 It’s such a charming little creation, the illustrations are basically photos of some gorgeous appliqué pictures and they depict plenty of animals with good sounds to try out with your baby. So far Izzy can woof for the dog, moo for the cow, woof for the owl and woof for the horse, which I think probably makes her a genius. The rhymes work well with the correct amount of beats to make the words flow nicely. I can’t bear kids books with bad rhymes that don’t fit the beat, why are they even allowed to be published? What also works, is that it has enough of a story to engage little ones without being too long. It’s also far more interesting than your bog standard baby book that just has pictures with words underneath. I think this book is fantastic, it’ll definitely be one for our kids “special stuff” box when they’ve all grown out of it. One of my best friends got this book for my eldest daughter for her first birthday, she loved it then and she still loves it now. It comes with a gorgeous little squeaky bunny who you dress, undress, bath, play with, read to and put to bed. It’s fantastic for helping develop fine motor skills and is generally just great for growing imaginations. This book would make a lovely gift and they also have a boys version which is just as cute by all accounts. Mine has been loved so much that the bedding on the front page is coming apart and one of the toys has disappeared, surely a sign of a greatly loved book! It’s pretty expensive, the cheapest I could find it on the net is £28.99 from http://www.borngifted.co.uk/baby-gifts/product/BG-3043 (Lucy you’re very naughty!) but for a special occasion or if you’re just feeling flush, then it’s a gift that’ll just keep giving!